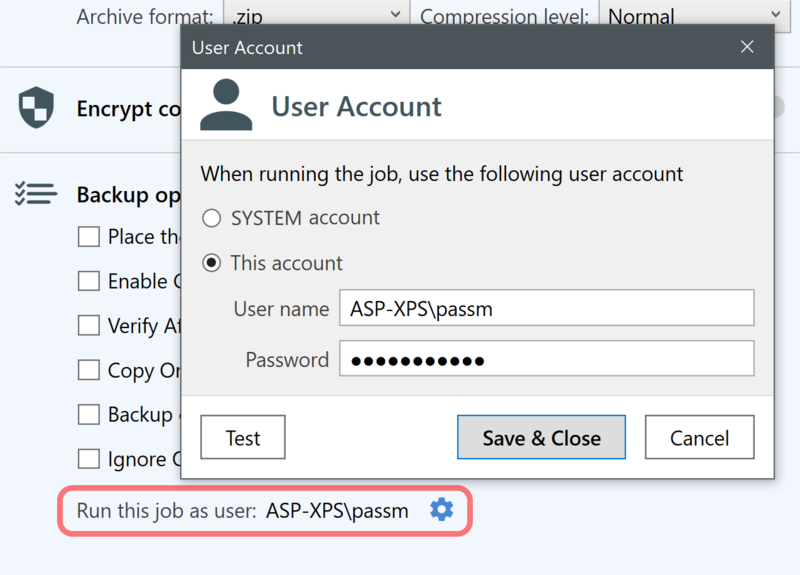 Test your connection in SSMS first – connecting to SQL Server on the network is not always trivial and is a separate subject that is not specific to SQLBackupAndFTP. 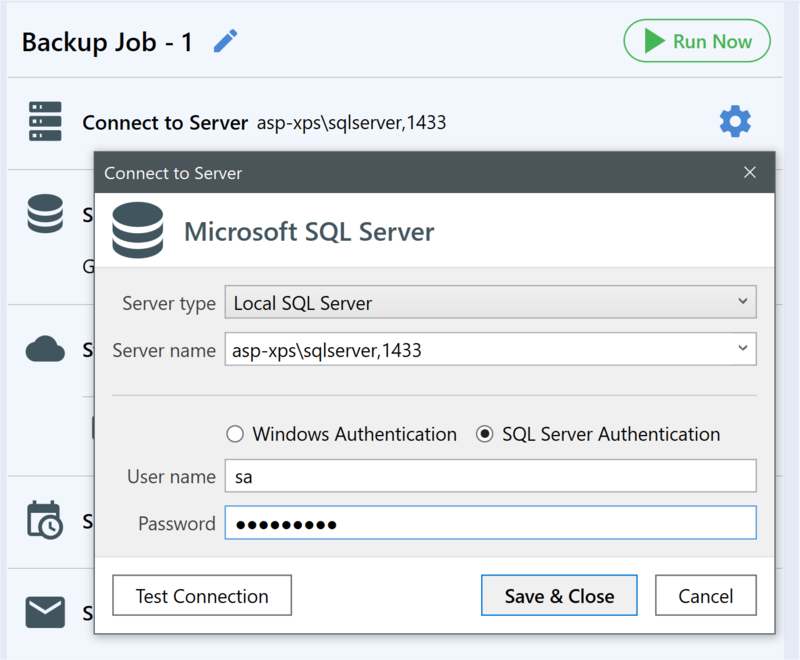 Then run SQLBackupAndFTP on your local computer, click “Connect to Server”, select “Local SQL Server” as a Server type and enter the same server name, user name and password you’ve used in SSMS. 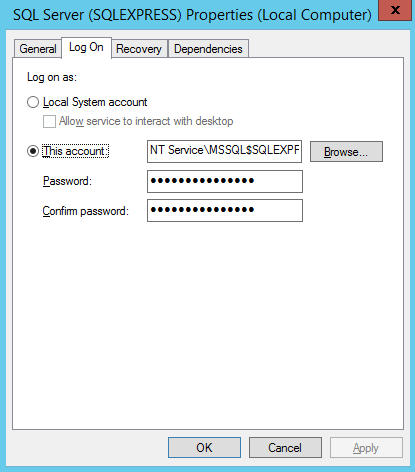 This folder should be accessible by both the SQL Server account and by SQLBackupAndFTP! Note that the remote share should only be accessed via UNC name (like \servershare”. Mapped drives may not be consistently visible to the SQL Service. 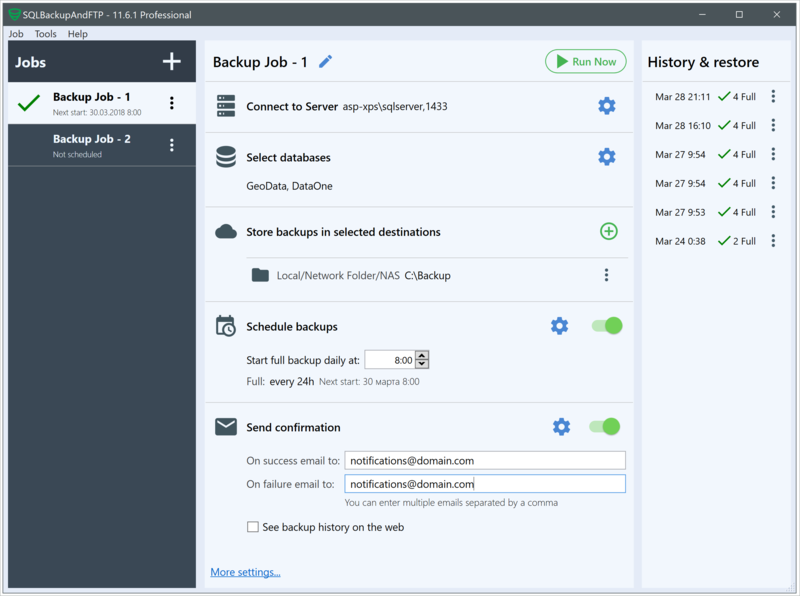 As usually in SQLBackupAndFTP select databases to backup, where store the backups (network, NAS, FTP, Dropbox, Amazon S3, Google Drive, OneDrive, Azure, etc), when to schedule Full, Differential and transaction log backups, where to send email confirmations, encryption and other desired options. Press Run Now button to test. If it runs without errors – SQL Server has enough permissions and SQLBackupAndFTP should run without issues on schedule as well. We’ve just resolved the issue of SQLBackupAndFTP accessing the temporary folder on the network. But SQL Server service has to be able to write to this folder as well. We have been using SQL…. for a while nice. David (for Gold Health Strategies, Inc.
Hi, I’d like to use SQLBackupAndFTP to create a .sql backup of a local database. Can it be forced to do scripted backups? The particular use-case is this: I have a slightly modified version on my PC of a Live database. I want to backup this modified version, and restore it to a new database on the Live server. I don’t want to risk clobbering the real Live database. I’m not a DBA so the backup/restore commands are a bit unknown, and I’m not going to experiment on the Live server.